Getting older is something we all struggle with, from the thought of our increased age to the aging of our bodies. Some feel it in their joints and bones, while others notice their minds starting to slow. Aging causes many differences in not just our bodies but also in our brain. Fear not, there are some exercises … Continue reading "Brain Health: The Things You Can Do to Make it Stronger"
Getting older is something we all struggle with, from the thought of our increased age to the aging of our bodies. Some feel it in their joints and bones, while others notice their minds starting to slow. Aging causes many differences in not just our bodies but also in our brain. Fear not, there are some exercises that can help you stay sharp for many years to come. As we get older, our cognitive abilities gradually deteriorate. A certain amount of cognitive decline is a normal part of ageing. When getting into your 50’s you can start to see your reasoning skills slow. According to research in the British Medical Journal, middle aged patients saw a 3.6 percent decline in reasoning skills over the past 10 years. There are things you can do to strengthen your cognitive abilities. 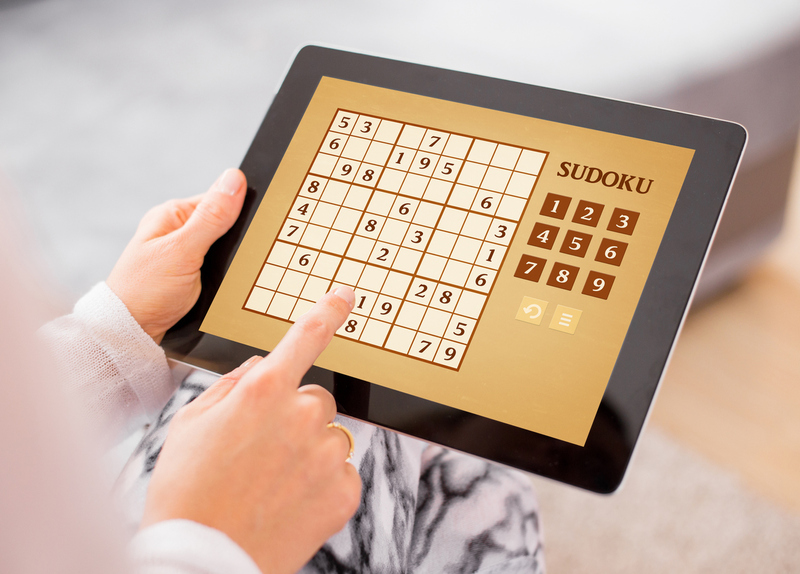 Playing games that require logic, process of elimination, and reasoning skills such as Clue and Sudoku, can help strengthen those abilities by using parts of your brain that you may not use as much on a daily basis. Challenge your brain in your daily life. Try brushing your teeth with your non dominant hand. By doing this, you’ll be using the other side of your brain to perform the task which expands the part of the cortex that controls tactile information from the hand. Though everyone is different, in a normal healthy brain, the major thing that happens as we get older is our neurons slow down a bit. According to the Journal of Nutritional Science, people whose diets consisted of fried foods didn’t score well on tests that measured brain function, memory, and learning. Researchers believed that having a poor diet of fried foods contributed to inflammation and a small brain size. Switching out battered and fried foods for grilled and baked items can help reduce this risk. Other items bad for your brain’s health are high amounts of sugars and trans fats. Research has found that a high intake of trans fats, found in processed foods, like cakes and cookies, can increase your risk of cognitive disorders such as Alzheimer’s. This is due to the possible cause of plaque build up in your brain. To prevent this, ditch the processed sweets for dark chocolate and/or fruit. Brain health, just like your overall health, is greatly affected by sugar! As you age, your brain will shrink. It’s unavoidable. According to researchers at the University of California, Davis, there are four factors that can speed up the decline in brain volume. Maintaining a healthy diet and exercising on a regular basis can help to avoid this. Quitting smoking can always help with a healthier lifestyle and a healthier brain. Though we have talked a lot about the effects of an aging brain, you might be confused where the line is between normal aging and a need for serious concern. Here are a few examples to ease your mind. Finding yourself searching for words is likely normal compared to using the wrong words, for example using the word stove when referring to your table. Driving a little slower than your used to is a normal thing among aging drivers, but if you start to react very slowly behind the wheel, or often miss stop signs and red lights, these could be signs of a bigger problem. No matter how you age, the most important thing is to continue to live your best life. Here are a few things that can not only keep you active, but keep your brain active as well. Keep Learning! Instead of doing the same old thing, think outside the box and try something new. New experiences will build new pathways in your brain, keeping your mind healthy as you get older. You can also spend more time with friends and family. Being social can help keep your mind sharp as you age. The key to an active happy life and brain health is an active happy brain.